The Cederberg region is only two hours from Cape Town and yet the landscape is completely different: wilder, warmer with a raw, dramatic beauty. Clanwilliam and Citrusdal with its towering mountains, brilliant purple and orange sunsets, laden with the scent of orange blossom in the spring. Lambertsbaai and Elandsbaai, with their perfect waves for surfing, offer open air restaurants serving only the best of our seafood and have an abundance of bird life to be spotted. Wupperthal and Elandskloof, both missionary villages situated within these magnificent mountains, both have a wealth of history to be discovered. Approximately 230 km van Cape Town, on the road towards Graafwater an Lambert`s Bay, lies Ysterfontein Guestfarm, a Rooibos tea farm. 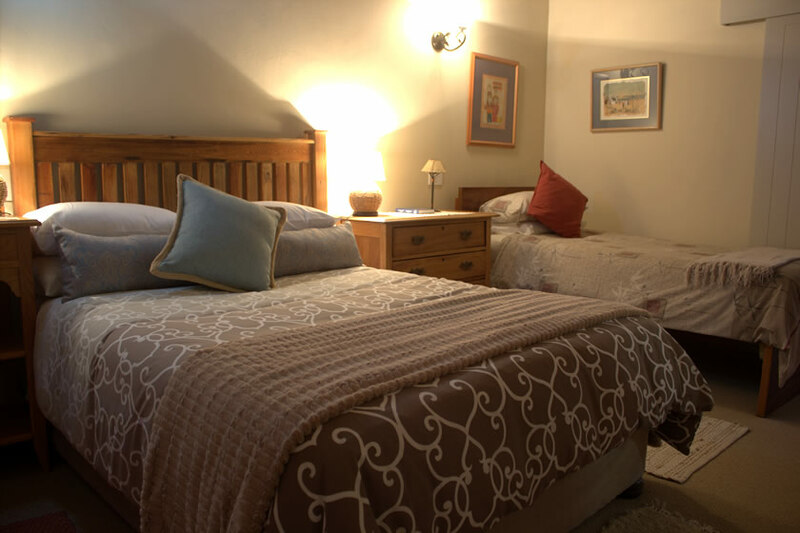 We have a charming self-catering and self-contained thatch roof cottage. The cottage sleeps between 2 and 6 people (in two completely separate bedrooms) and the surrounding area is quiet and peaceful. The fresh clean air and stunning views creates an unforgettable experience, with the well known Clanwilliam Dam only 12 km away and Lambertsbay 50 km from the farm.